Contact us for a better deal on this product. We appreciate the opportunity to provide you our absolute best price. I'll respond to your online request within 24 hours. This 20” super-quiet, high-speed burnisher with dust control from Hawk is remarkably easy to handle. It's the perfect choice for small and large areas. The dust containment system ensures that your floor will be free and clear of dust, even after you've finished burnishing which saves you money by eliminating the need for follow up dusting and sweeping. Using a powerful 1.5 HP, smooth-running DC recified motor this machine will provide a high gloss, wet look shine to any commercially tiled floor that has a proper finish on it with minimal user effort. It's ergonomic, low profile design permits burnishing in hard to reach areas like under desks, counters and fixtures. Are you looking for a more affordable electric high speed floor burnisher? 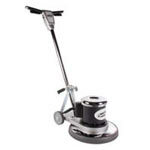 Please feel free to check out the other great options we offer including the Task-Pro 1500 RPM floor burnisher. It may be just the machine you're looking for! E-Z grip vinyl handle for operator comfort. Dual steel operating triggers for left or right hand operation. Handle folds down for compact storage. 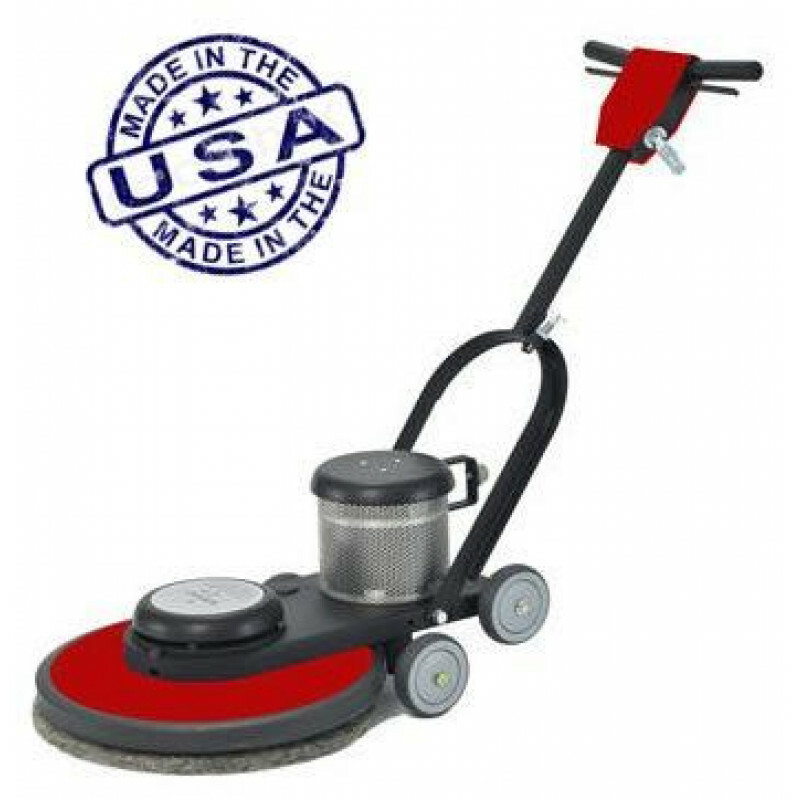 Heavy duty steel frame and brush cover for strength and durability. DC rectified motor assures ample power, smooth-running operation.